This book is a beautifully detailed portrait of a young love and marriage, corrupted by both the selfishness of a man and his mistress but also by every person, including his wife, who felt that somehow his genius, his work meant that different rules applied. As "bohemian" as those in Paris were attempting to be, Hemingway and Hadley made very traditional, formal vows and, thus, he should have been held to them. In fact, in not holding him to adult standards, they ignored a man in great need of help and they share in responsibility for his suffering and his suicide. 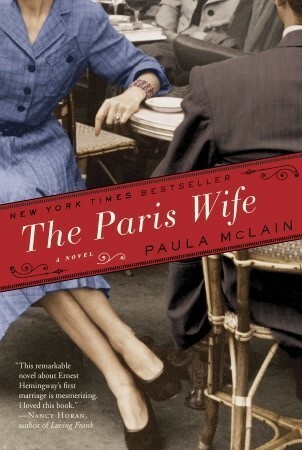 The Paris Wife is, of course, also the story of the beginning of a second marriage and the picture that McLain draws of Pauline, from Hadley's point of view is brilliant. Pauline is one of those limpet-women, who insinuate themselves into the company of the men to whom they wish to attach themselves, so that by the time they have their suckers in, it is she who appears to be the victim if anybody suggests she does not belong. Perhaps women like that might read a novel like this and, assuming they even see themselves in Pauline, experience a little of what they do to the women upon whose men they set their sights. Lastly, I'd like to comment upon the declarations by many in the book, even Hadley, that "his work" was worth all the suffering he experienced and caused. Such sentiments are understandable, but I hope that they are not serious and rather an attempt to alleviate the guilt and helplessness of not being able to know what was wrong and to help him. Being bi-polar myself, when I hear "it was all worth it because he was a writer of a generation" I hear only cruel romanticism and a total lack of understanding. Sign into Goodreads to see if any of your friends have read The Paris Wife.